In this tutorial we’ll be making a beautiful crochet rug, made from T-shirt yarn. The pattern uses US terms and stitches include slip stitch (sl st); double crochet (dc); chain (ch); increase (inc) and a magic ring. T-shirt yarn (also called Zpagetti) in two colours that complement each other. You'll need about threes cones of yarn in total. 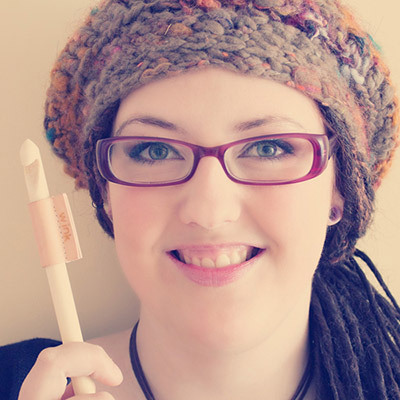 A crochet hook in a size suitable for t-shirt yarn. I'm using a 15mm hook. A large darning needle for sewing in the ends. Using the main colour yarn, make a magic ring and secure with a stitch. Chain 3 (counting as one dc), then crochet 11 double crochets in the ring. Pull the ring closed. Join with a slip stitch in the third chain of the first ch 3. Chain 3 (counting as 1 dc), work another dc in the same stitch, then work 2dc in each stitch around. Join with a slip stitch in the top ch of the starting ch3. Chain 3 (counting as 1 dc), work 2dc in the next stitch, then *1dc, 2dc* around. Join with a slip stitch in the top ch of the starting ch3. Chain 3 (counting as 1 dc), chain 2, skip a stitch, then *1dc, ch2, sk 1 st* around. Join with a slip stitch in the top ch of the starting ch3. Chain 3 (counting as 1 dc), work 2 dc in the ch2 space, work 1dc in the underlying dc, then *inc, 1dc in dc* around. Join with a slip stitch in the top ch of the starting ch3. Change colour. Chain 3 (counting as 1 dc), work 1 dc in the next stitch, work 2dc in the next stitch, then *2dc, inc* around. Join with a slip stitch in the top ch of the starting ch3. Chain 3 (counting as 1 dc), work 2 dc in the ch2 space, work a dc in the underlying dc, then *inc, 1dc in dc* around. Join with a slip stitch in the top ch of the starting ch3. Change colour. Chain 3 (counting as 1 dc), work a dc in the next stitch, then *1dc* around. Join with a slip stitch in the top ch of the starting ch3. Chain 3 (counting as 1 dc), work 1dc in ch2 space, work 1dc in underlying dc, work 2dc in the ch2 space, then *1dc in dc, 1dc in ch2 sp, 1dc in dc, inc* around. Join with a slip stitch in the top ch of the starting ch3. Change colour. Chain 3 (counting as 1 dc), work 1dc in the next stitch, then *1dc* around. Join with a slip stitch in the top ch of the starting ch3. Chain 3 (counting as 1 dc), work 1dc in ch2 space, work 1dc in underlying dc,work 1dc in ch2 space, work 1dc in underlying dc, work 2dc in the ch2 space, then *1dc in dc, 1dc in ch2 sp, 1dc in dc, 1dc in ch2 sp, 1dc in dc, inc* around. Join with a slip stitch in the top ch of the starting ch3. Chain 1, work a sc in the same stitch, skip two stitches, work 6dc in next stitch, skip two stitches, then *1sc, sk 2 st, 6dc, sk 2 st* around. Join with a slip stitch in the first sc of the round. Fasten off. Flip over your rug and using your large darning needle, sew in all the ends. You can easily do this by weaving the tails under the dc's of the rounds. Cut the yarn ends after you've sewed them in, and turn your rug back over. The rug may ripple a bit, but because of the stretchy nature of the yarn it will straighten out over time. You can wash it with regular detergents. All that there is left to do for you now is enjoy your beautiful rug! Have you been following our crochet tutorials? How are you going? Let us know in the comments below. Have you got everything you need in your crochet kit? Check here.